Whether you are looking for a new vehicle or to keep your current model driving at top performance, Mercedes-Benz of Warwick is ready to help with first-class service. We are passionate about the Mercedes-Benz lineup, and can guide you to the perfect blend of power, technology, and luxury for your specific preferences. From the elegant C-Class to the exciting GLA, we offer the chance to drive the car of your dreams. Our knowledgeable sales staff is ready to answer all your questions and help set up a test drive today. If you are looking to trade in your current vehicle, our finance department is here to help easily value your trade. We pride ourselves on making the sales process as painless as possible, which is why we give you the best tools to use when purchasing your vehicle. Proper maintenance is crucial to keep your vehicle running smoothly, and our certified technicians handle every job with care and confidence. While you wait to get back on the road, relax in our comfortable lounge, offering free refreshments, pastries, and Wi-Fi. Can’t stick around? Take advantage of our complimentary shuttle service and loaner vehicles to help get you back on your way. Our services also come with a car wash and vacuum, further proving our commitment to you. Ready to experience luxury from start to finish? 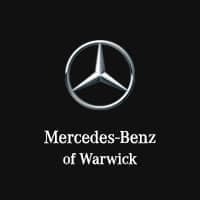 Learn more about Mercedes-Benz vehicles, then contact Mercedes-Benz of Warwick today!